"I see what you did there....."
"wheres his eyeball!?" 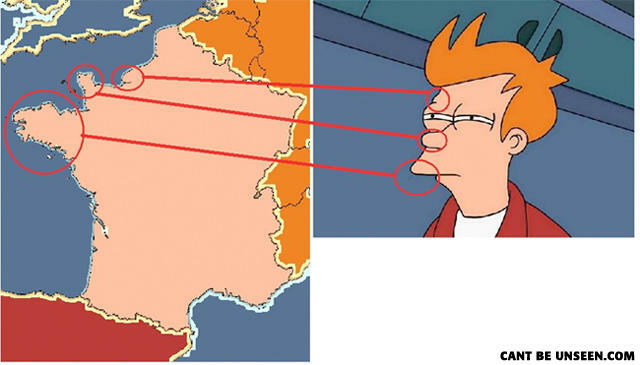 - Why of course, France doesn't have balls. I like how he's all slit-eyed and condescending. Just like a Frenchman. what happened to joaquin phoenix's face? Can't tell if map... or mirror. France is his head, Germany is his hair and Spain is his Shirt. great, five meters of awesomeness are seen. It looks more like Brendan Small from home movies.